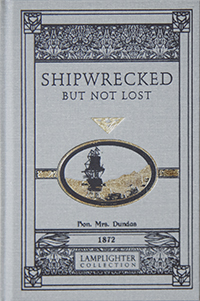 Experience the utter fear of abandonment, the tension of frigid desolation, and the resolute determination to survive in Shipwrecked, But Not Lost. This breathtaking episode will keep you on the edge of your seat as you follow the spectacular events of a life-threatening voyage. The crashing of icebergs and the raging tempest will strike terror in the bravest heart. You’ll be mesmerized, captivated, and awestruck as you give attention to the unexpected voyage of our three forsaken companions on their perilous journey.